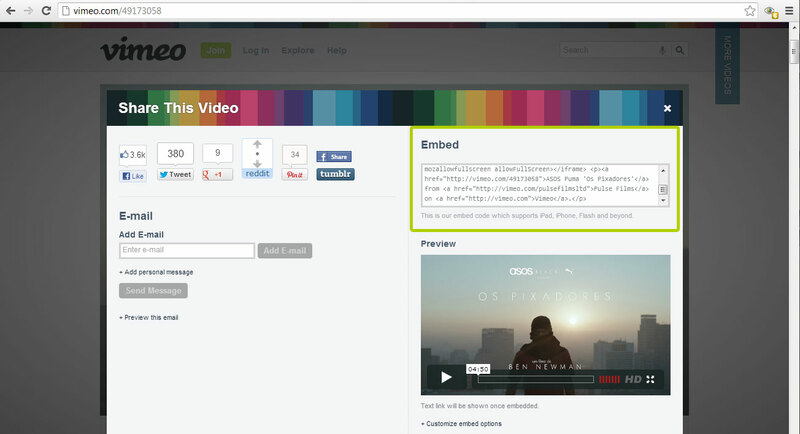 a) First go in Vimeo to get the Vimeo embed code for your video. Next open your Notepad/Wordpad (PC) or Text Edit (MAC) and paste the copied code in a new blank page. b) We don’t need the entire code, just the first section that is highlighted above. 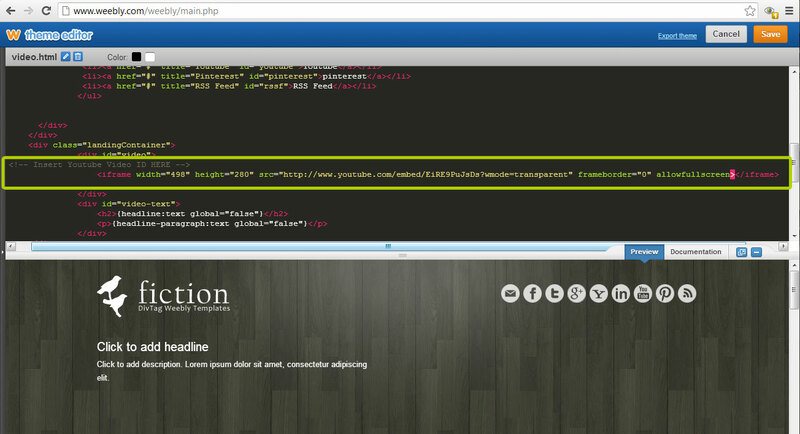 In the width and height area, you should see 500 for width and 281 for height. If this is not the number you have, you need to change it to 500 width and 281 height in order to fit into the Video Landing Page. 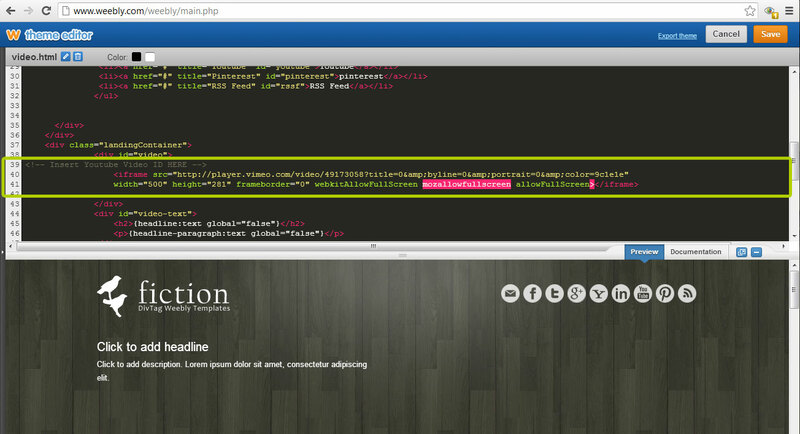 Here we will replace the entire YouTube <iframe> code highlighted above with the new Vimeo code we just prepared.